We, as Human beings can be quite forgetful at times. This can be problematic sometimes, especially if you are a movie buff. That plan of watching a movie on the first day of its release would go up in smoke if you are not timely reminded of its show time. Wondering who would be the one to alert you? Or rather what? 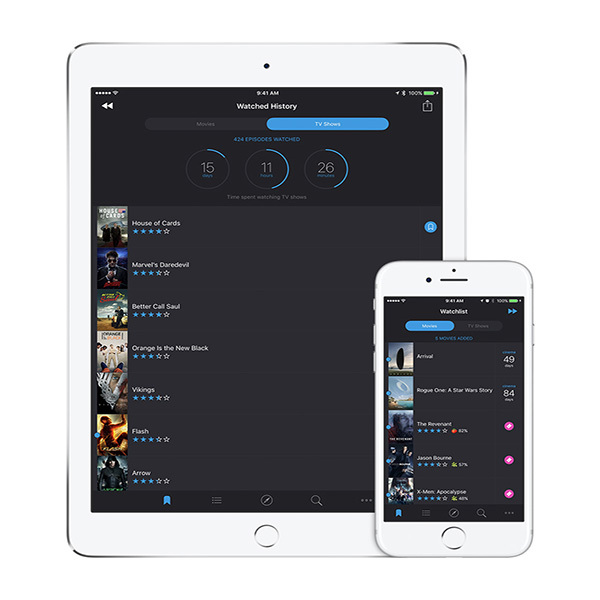 Well, AlertFilm is a perfect app for those who want to be constantly updated about the availability of movies as well as TV shows. It reduces the hassle of going through multiple sources to get information about the latest movies and TV shows that would release in mediums such as Netflix and Amazon Prime. In the AlertFilm app, you can find, discover and share the shows and movies you love. You can set alert for the movies and receive notification whenever they become available. All your favourite movies and TV shows can be classified under the watchlist so that when they get released, you will be 2 taps away from watching it. The content available is worldwide that is curated and made suitable to different platforms the users have access to. Being an avid movie and TV show lover, Benjamin, one of the founders of the app tells that they spent too much time finding out movies to watch, and when they found what to watch, they didn’t know where to watch it. Hence, to counter this situation, they decided to come up with the app which would give all the details a movie and a TV show lover would want. The app faces a stiff competition from TVShow Time that helps users create TV show calendar by selecting their favorite shows. But the AlertFilm app scores over them by integrating the movie schedules along with the TV shows. It combines every Video on Demand (VOD) service that you have access to in just one app, making it more versatile than the competitor. One of the major hurdles the app faced was to establish itself in Ignite startup accelerator program in London, thereby helping them achieve a better understanding of how the market functions. The app now plans on becoming the world’s leading streaming entertainment guide by providing its services to every country. They are looking for funds so that they can plan on establishing commercial partnerships and provide exclusive offers and content to magazines, sell tickets for the movies, and provide subscriptions to new services. The app looks to target avid movie and TV show lovers and can be found in the App Store.